The fire spread quickly in every side of the N-II, reaching the neighboring villages: Capmany, Agullana, Llers, Sant Climent Biure Sescebes, it was helped by the strong blows of the Tramontana wind . The same day, a second fire was originated in Portbou, which could be controlled in less than a day, but two people were killed: a father and daughter from France, which tried to descend a cliff to jump into the sea, for fear of being hit by the flames. On July 23th there were about 14,000 acres burned with no hope of being able to control the fire, in words of the mayor of Jonquera village, Sonia Martinez, “the disaster is expected to last two days more.” The fire reached Darnius, Terrades and Vajol. 101 people volunteered helped to put out the fire. 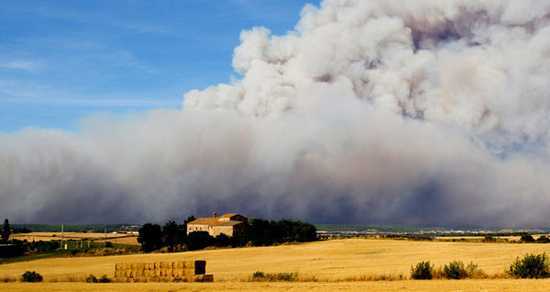 French firefighters worked, too, and Valencian government sent four Air Tractor aircraft. 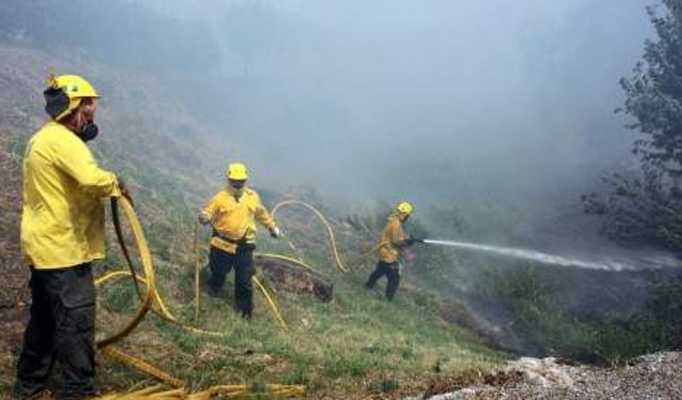 On Monday afternoon, Felip Puig declared “the fire is not under control and follows the struggle on the western flank”. 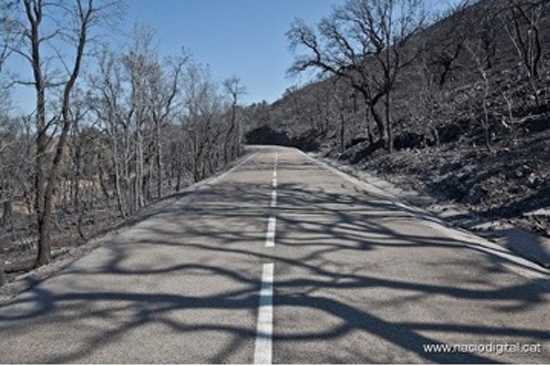 On social networks, it was open the initiative #1català1arbre t (one catalan, one tree) to restore the natural heritage, as well as the damage caused to the citizens, which have not been determined yet. Ashes flooded to all the mentioned villages and even went to places so far away as Lloret de Mar. The volunteer support increased as the hours went by. Capmany has been burned in 90% of its non-urban area. It remains to know about the future measures taken by the Catalan Government to avoid disasters like this in the future. Felip Puig spoke to eradicate prostitution in roads, for example. It was also noted that forest areas, least affected, were those that had been cleaned thanks to graze cattle, and in some cases the growing vineyard served as a firewall.